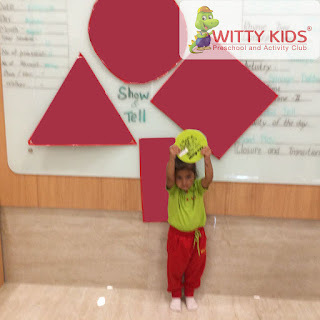 Everyone wants a smarter kid. 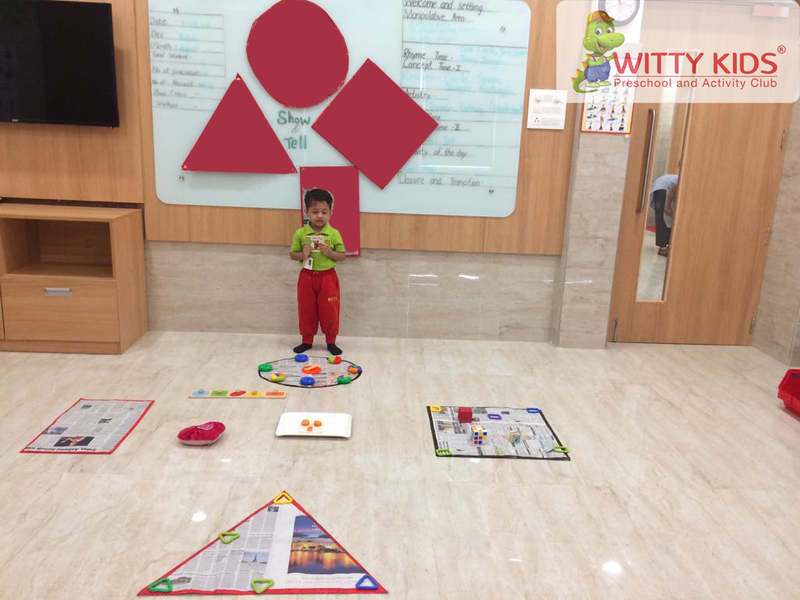 Education plays a vital role in bringing out the best in a child. But the traditional ‘chalk and talk' method of teaching is not of great help in this regard. Witty expertise has realized this and many techniques have been introduced for the overall development of the child right from the early stage. 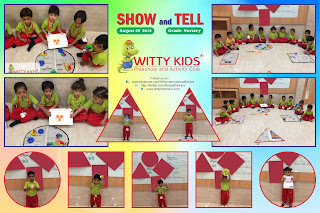 ‘Show and Tell' is one such measure which was organized for the Nursery toddlers of Witty Kids, R.C. Vyas colony, Bhilwara on Thursday, August 9, 2018. 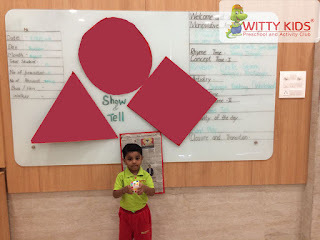 Kids brought their favourite objects from their home to the school and identified its shape and spoke few lines about it. 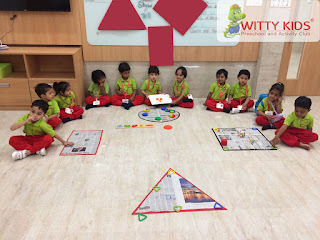 They enjoyed walking on the four different shapes introduced earlier and recited rhymes for each shape. Show and Tell Activity was powerful tool for developing the language and communication skills of the children. The little Wittians with the help of the teacher had a cooking experience too, by making a shape house using square shaped bread slice to make the room, triangle shaped cheese was placed to make the roof, carrot cut in circle shapes was used for the windows and rectangular shaped wafer biscuits for the door.